The Microphone to the Universe is an advanced crystal that assists you with connecting to all realms of the universe. Are you ready to explore? The Microphone to the Universe is exactly as it speaks, one of the most amazing products that we've got to offer for any person that is advanced in being a psychic/channel/scribe/meditator or someone who is wanting to explore the Realms of the Universe and access the highest of consciousness that is available. Steven North (incarnate) and Amy North (spirit guide) work together to embed the codes into the crystal so that you access everything that you have access too, whether it is celestial beings, earth realms or beyond. It is every group/council/being/civilisation that you're attuned to and more. This really is an extraordinary product to offer and it has helped many scribes connect with amazing beings all throughout the universe. 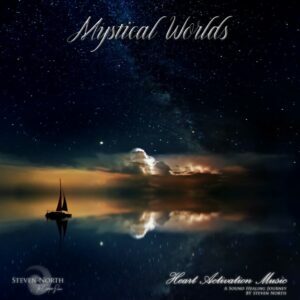 The consciousness and channelled codes are embedded into the crystal for you and as part of this amazing product, you will receive your very own, custom version of "Journey's into Oneness" from the Heart Activation Music by Steven North with the energies of the crystal and tailor made to you. International channel, Jocelyn Joy Thomas was introduced to a group known as the Celestial White Beings whom then continued to spend 30 days with her to train her in new ways. In fact, it was Jocelyn's Spirit Guide that delivered the inspiration for this crystal. That's teamwork! This crystal is so remarkable that the wonderful Marlene Swetlishoff, scribe to Master Hilarion has provided a testimony. The song will not only just raise the vibration of the room, it will create the sacred space for you so that it can allowing a strong, cleaner and a pure connection between you and whomever you're working with. This crystal is a MUST HAVE in your tool box of crystals for anyone that is wanting to use crystals to communicate with ALL the realms and allows you to provide your clients with extraordinary service from yourself. As a tradesperson has that one tool to rule them all, so must you have a tool to rule them. Your very own connection to source, you're very own Microphone to the Universe. 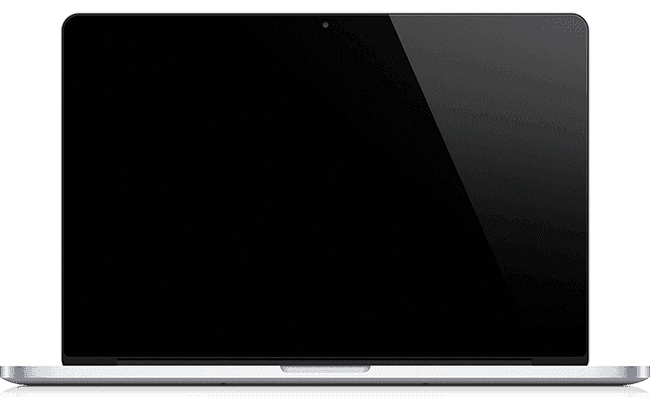 You will receive the crystal and the MP3 audio file that is tailor made to you with the customised artwork that will have your name on it. 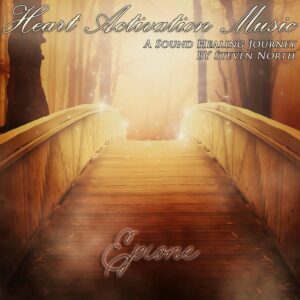 The MP3 file will be coded in the highest quality digital audio to retain the purity of the energies that are contained within the light waves, within the music. There will be an initial Skype/Facebook/Email conversation to discuss with the Channeller/Reader how the work will be carried out, how it'll work and the connection that the Channeller/Readers require with their work. Please feel free to drop a message as we can have a brief discussion via Skype if you have any questions. "Since I have had the activation of my “Microphone to the Universe” Crystal done by Steven North, I am finding it much easier to quickly voice channel the words that come through me and am finding that it is a wonderful and magical experience, one that is filled with joy, wonder and delight! This crystal has the amazing ability to energise and help me acquire knowledge through a direct connection to the higher realms of Light and Truth. The crystal consciousness itself has told me today that it is aligned to the highest frequency and is available only to those beings on that higher level. The lower astral planes cannot access or even discern the use of this crystal to obtain higher knowledge. It indicated to me that it is a portal (and I got the image of a round window) that allows a graceful and easy access to the higher consciousness Beings of Light. 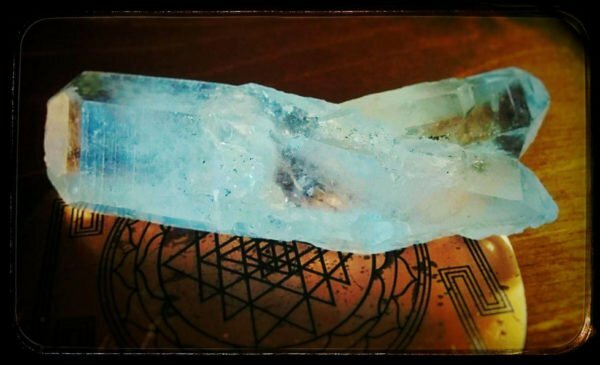 When I also added Steven’s "Magical Journey into Oneness” music while aligning to this Crystal today, I experienced a deep relaxation in my body and mind which quickly put me into a more altered state and I was enabled to bring through two messages today! The possibilities that are unfolding through this invaluable assistance from Steven North are most exciting and intriguing to me. I am very excited by this development. Thank you, Steven, for bringing forth this amazing ability to activate and energise crystals to the material realm! I am one channel and scribe who is most grateful for this opportunity and I applaud me for going for it! I purchased the Microphone to the Universe crystal from Steven and it is amazing. When I first received it, the energy felt different than anything I had worked with before. It was almost an unsettling feeling and then I realised that the crystal held energies that I hadn’t explored yet. It holds pure potential and it caused me to have to work through where I held limits within myself. The crystal didn’t hold just the energies of where I was and what I could access then but also who I was and am becoming and what I can access. I recommend this crystal to all who want to tap into their potential and be challenged by all that they are. "Thank you so very much Steven for the Microphone crystal you created for me last week, what a difference it has made. As a Psychic artist drawing spirit guides and other beings from the spirit world comes easily, but when it comes to retrieving the messages this has been more of a challenge. However, since using the microphone crystal the messages are flowing through more easily and with greater clarity too and I find myself having more of a conversation with the guides and as a result my confidence in communicating in this way is growing. It is fantastic to have this amazing tool at my disposal to enhance my communication with spirit. I would highly recommend this crystal to anyone who performs any form of medium-ship or channelling work. Thanks once again Steven I am most grateful to you for this amazing crystal it is magical and so are you!" A Microphone to the Universe crystal prior to being coded. 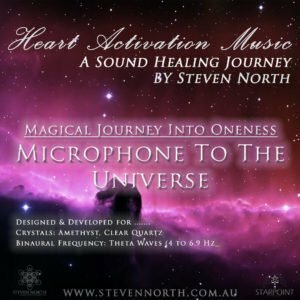 The Microphone to the Universe comes with a custom made version of the The Magical Journey into Oneness by Steven & Amy North. The video below is a preview of what the song sounds like and how the energies within the music feels like. As each song is unique, we have created a special version so that you can listen to the amazing crystals filled with channelled codes by Steven & Amy North. There is a Pure Theta Wave running from 4 to 6.9 Hz binaural frequency. It is designed to rest the mind.